A quick word about licensing – Most of the icon sets listed will fall under the Creative Commons Attribution-ShareAlike 3.0 license which will require some sort of attribution to the author. Make sure you check out the licensing requirements for all the fonts you use. Entypo is a set of 250+ carefully crafted pictograms, covering the usual business themed and social icons. They come in .eps, .pdf and .psd file formats as well as a OpenType and Truetype font faces which can be called through your CSS file and output into HTML using unique unicodes. FlatIcon is the largest database of free vector icons with over 60,000 icons in it’s library. They have collated icon packs from different users which can be downloaded in a number of different formats, including customisable icon fonts. It is definitely worth a browse if you are looking for specifically themed icons. Font Awesome is one of the more popular free web icon fonts out there today, with many sites using them, including my own. Their icon set covers many different subjects including file types, payment methods, and text editor icons. 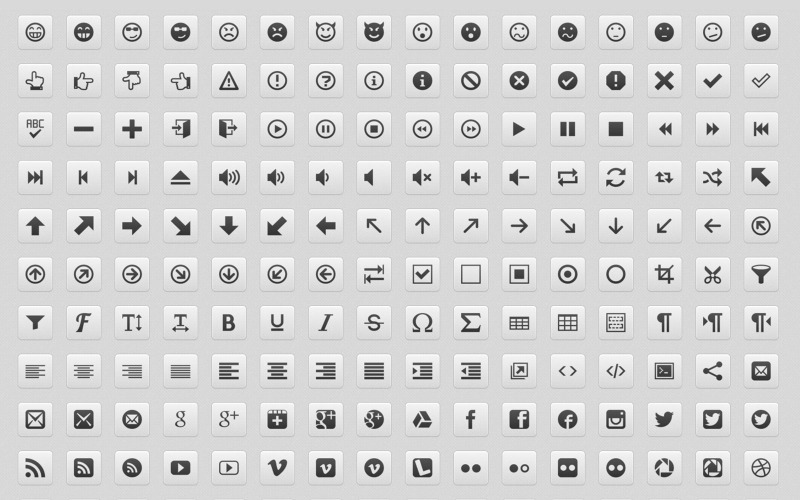 Glyphicons has a huge library of simplistic icons and symbols. It is the default icon set for the popular CSS framework – Bootstrap. They offer a set of 610 free icons which come only in the .png file format as well as paid versions which include more file formats and icons. Iconic is the most customisable icon set with use of smart svgs and responsive iconography as a product of it’s successful kickstarter campaign. They have two versions; Open and Pro, which offer different customisability that are free and paid respectively. I would recommend using the pro version to get the most out of the pack. IcoMoon have three different icon packs; free, essential and ultimate which differ in the number of icons and license requirements. They come in pretty much every file format including font files. Socicon is a simple social icon font pack including all the logos for popular social networking sites. Just download the font file, import to your css file and call using the specified unicode. 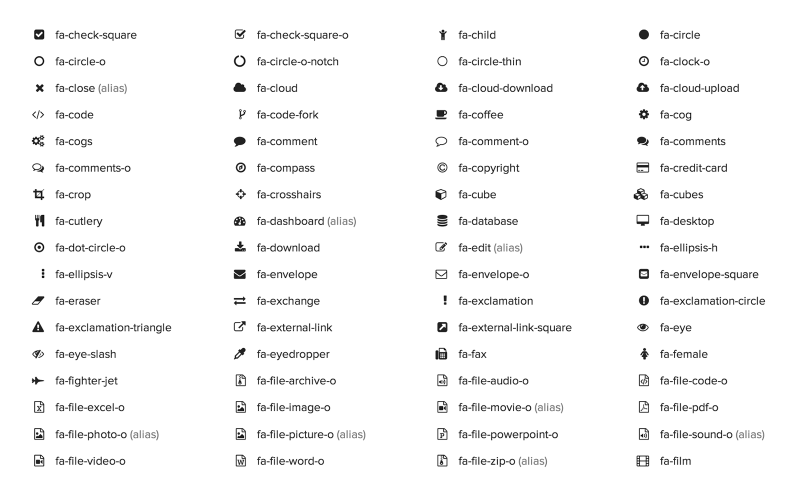 Typicons is a library of 336 free icons embedded in a font file for web use. 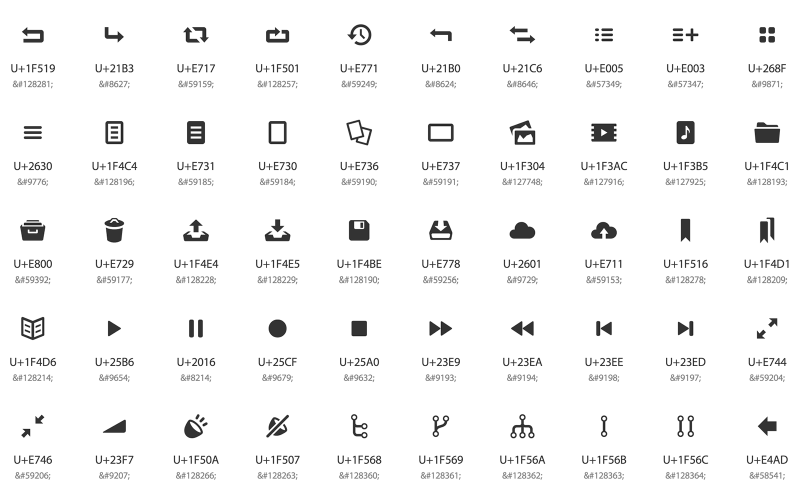 They a range of soft icons in solid and outline styles which can be called by using icon-specific classes. Fontastic allows you to convert your own icons into an icon webfont. The benefit of this is reducing file size and adding more customisability using CSS.